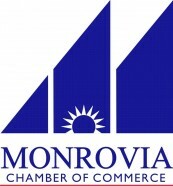 The Monrovia Chamber of Commerce is a volunteer based non-profit corporation comprised of the businesses in this community. The Chamber of Commerce harnesses the tremendous potential of the private enterprise system and enables its membership to accomplish collectively what no one could do individually. Founded in 1897 and incorporated in 1939, the Chamber continues to grow to meet the challenges of today’s business climate. The objective of the Monrovia Chamber of Commerce is to promote and meet the needs of business and to make Monrovia the best possible community in which to live, work and do business. Membership in the Chamber provides advantages designed to meet business needs in areas such as business promotion, business assistance, networking, advertising, education, and legislative representation. The Chamber members who serve on the Board of Directors, on the committees and as Ambassadors are business leaders who volunteer their valuable time working for you because they believe in the effectiveness of the Monrovia Chamber of Commerce. The Chamber maintains an office with a full-time staff to provide services to the membership, visitors and the community. “Monrovia Insider” newsletter for information, advertising, articles. If The Chamber Didn't, Who Would? Speak up for business with government leaders regarding proposed and existing laws and regulations that have an impact on business? Respond to requests for Demographics, questions about our businesses & community, either in person, by mail or by phone? Coordinate the talents of the local business community by tracking basic issues? Stand ready to pursue any matter which can make our area a better place to live and work? No refunds-some exceptions may apply. Call the Chamber Office for questions. Stop in and say hello – Monday – Thursday 8:00am to 4:30pm, Friday 8:00am to 1:00pm.